This year, thirty-five Caesars Entertainment Corporation properties across the country pledged their support for helping families engage with parks to create a healthy environment for themselves and their children. Caesars Entertainment’s employee volunteers, known as HERO employee volunteers, hosted park events across the country to promote conservation and outdoor recreation as part of National Park Trust’s signature National Kids to Parks Day initiative – a grassroots movement that encourages children and families to get outside and explore local, state and national parks in their community. 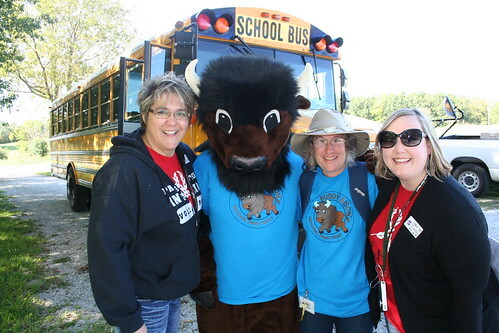 Harrah’s North Kansas City Casino HERO’s hosted an event at Smithville Lake for local kids to hike, learn about nature and enjoy being outdoors. 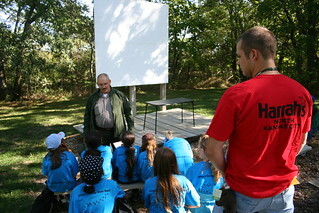 A wildlife biologist led the hike, where kids had a chance to see and touch live amphibians and reptiles. An Army Corps Ranger also spoke to the group about mammals and the importance of keeping their watershed free of pesticides and other pollutants.